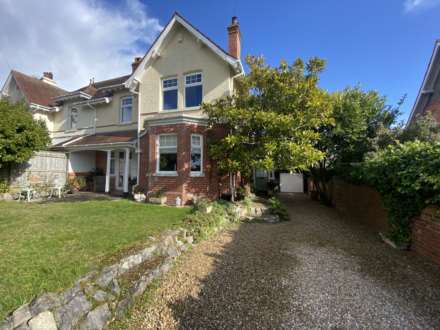 Situated within walking distance of the Seafront and the Mouth of the River Otter, with the Town Centre beyond, is this extended 3 bedroom and 2 reception room, 1930`s semi detached house with corner plot gardens, garage and off road parking. Offered for sale with NO ONWARD CHAIN and having been the subject of much updating by the current owner, yet still retaining much character, is this spacious 4 - 5 bedroom and 2 - 3 reception room, 1920`s detached house with gardens, off road parking and detached garage. Situated within `The Avenues` area of Exmouth, a rare opportunity to be able to offer this spacious extended 5 bedroom, 2 bathroom, detached chalet style bungalow with one original owner from new. The property is in need of some updating, and is being offered with NO ONWARD CHAIN. Constructed by Messrs C G Fry & Sons in 2014 is this immaculate 4 bedroom and 2 bathroom, 3 storey townhouse, overlooking Parkland, with a detached double garage and off road parking to the rear.